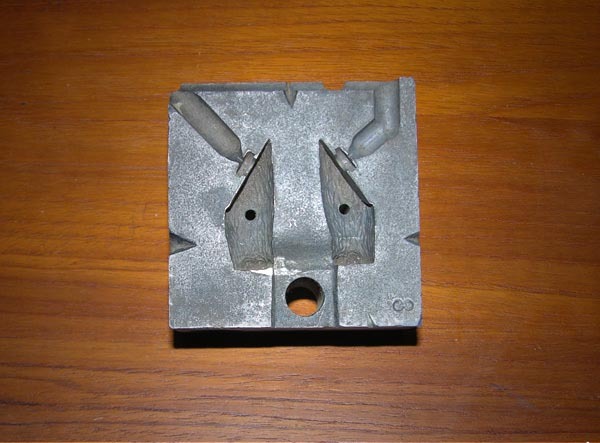 Presented here is the front half of the steel mold for the legs of the Top Toys Chief Chirpa action figure. 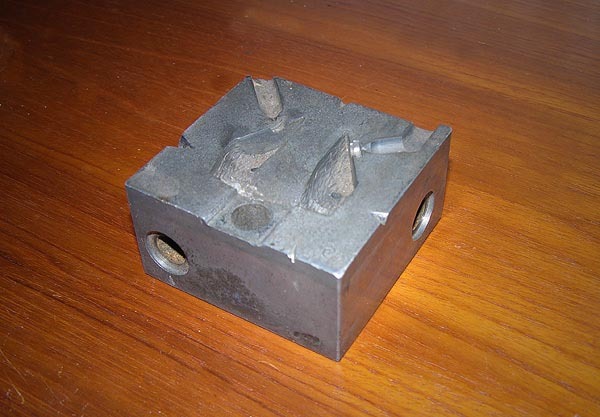 Steel molds are some of the rarest pieces of the production process and only a handful reside in collector's hands Pay close attention to the large channels going into each leg. These are used for pumping hot plastic into the mold. When the plastic is cooled it is then removed. The circles on the knees most likely contained ejector pins at some point. These pins would have pushed out and removed the cooled pieces. The pieces of excess plastic that would have filled the channels are called sprues. The limbs would then be broken off of the sprues and the figure would be assembled. Picture a model kit if you are having trouble visualizing this step. This is a great look into a rarely seen step in the production process and the fact that this isn't a Kenner mold doesn't make this piece any less significant. 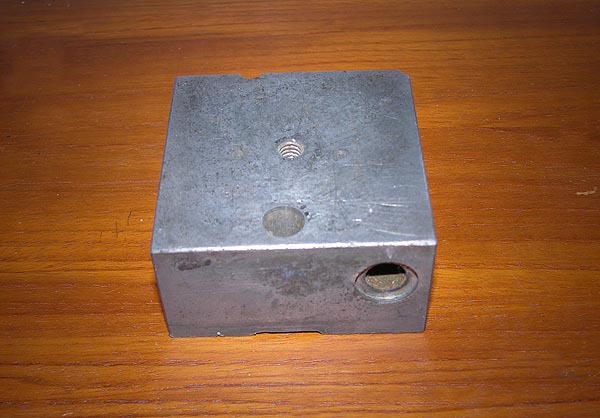 In fact, this is the first steel mold for a 3 3/4" action figure to be featured on the Archive. The final shot affords readers a view of the many pieces Mattias has managed to add to his Top Toys prototype figure run. 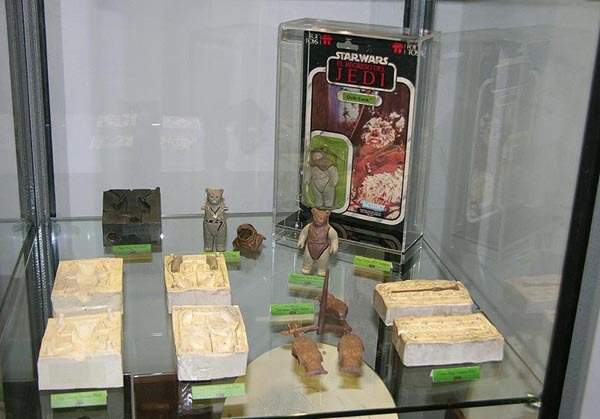 Pieces on this shelf include silicone molds for the torso, limbs, and staff, a carded sample, a painted hardcopy, a sprue with 2 front and 2 back first shot torsos, and the front half of the steel mold for both legs. Mattias has managed to assemble one of the most complete runs of a Top Toys figure and I'd like to thank him for sharing with our readers.